Talmage Boston’s practice involves all aspects of dispute resolution in commercial transactions. 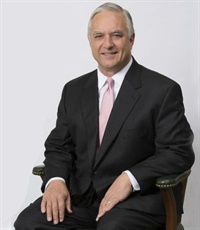 With more than 39 years of business litigation experience in Dallas, Talmage has tried jury cases and argued appeals all over Texas in both state and federal courts. Talmage is board certified (and has been recertified many times) in both Civil Trial Law and Civil Appellate Law by the Texas Board of Legal Specialization. He’s had extensive first-chair jury trial experience in real estate, banking, energy, business fraud, construction, intellectual property, condemnation, consumer protection and contractual disputes. He’s also been attorney of record in 27 published opinions, including arguments to Texas Supreme Court, most Texas courts of appeal, and the United States Fifth Circuit Court of Appeals.